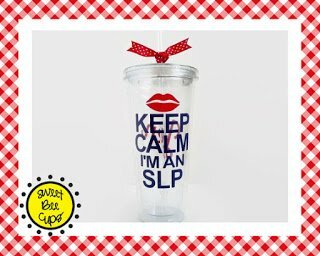 Need a gift for an SLP? Do you want to buy a gift for yourself? 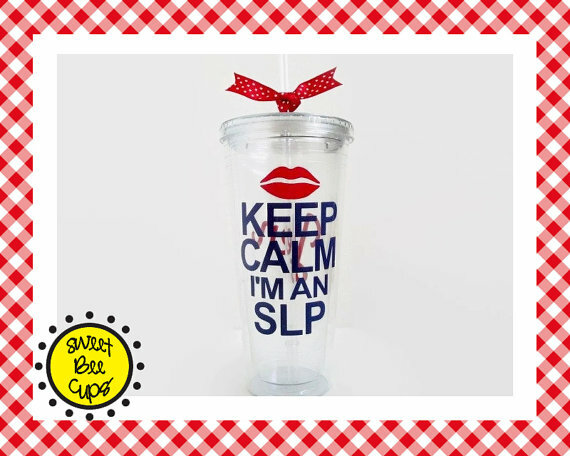 I have to admit…I can often be found searching “slp” “speech pathology” and “speech gifts” on Etsy. I love to see what products pop up! I love that our field is growing and getting recognized!! I have created a list of my favorite products I have found! 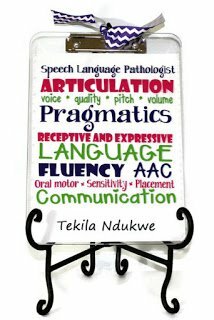 These make great gifts for grads, student interns/collaborating teachers, or for yourself! Good for 10% off any $15.00 purchase from ThatKindaGirl on Etsy. Coupon Code Expires 09/30/15. 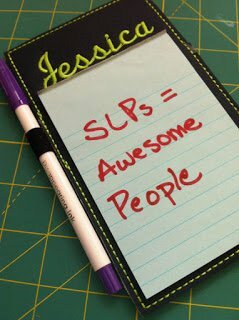 SLPs love clipboards! 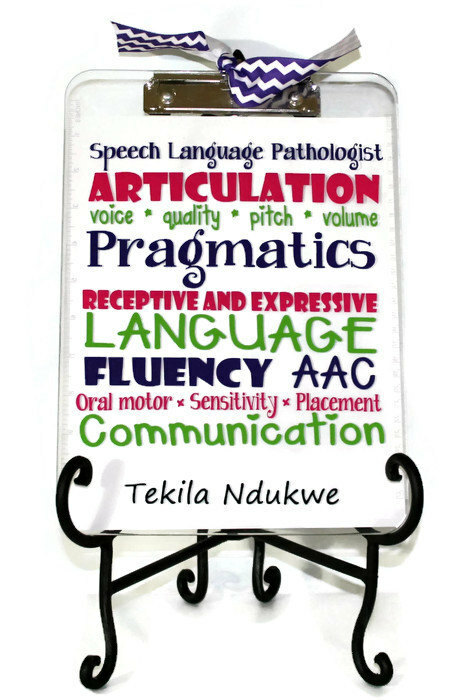 They are great for evaluations, observations, and just organization!! JKTrends has this cute SLP clipboard that you can personalize!! 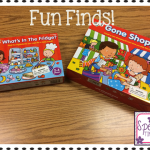 They were also generous to provide a coupon code to all SLPs coming from Speech Time Fun!! 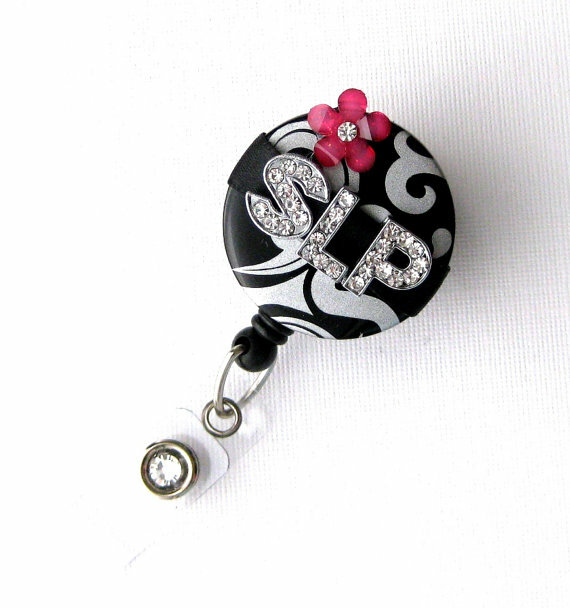 BadgeBlooms has these adorable BLING BLING badge holders!! Many work settings require us to carry ID badges. Who wouldn’t want some bling to hold it!? Not into the bling but like a cute holder?? They have TONS others!! 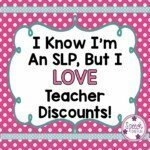 They also offered a coupon code for SLPs!! SLPBLOOMS for 20% off. It seems like many SLPs love wine..including myself! I am apart of some wine clubs myself which mail me bottles quarterly, I love trying new ones from different regions! 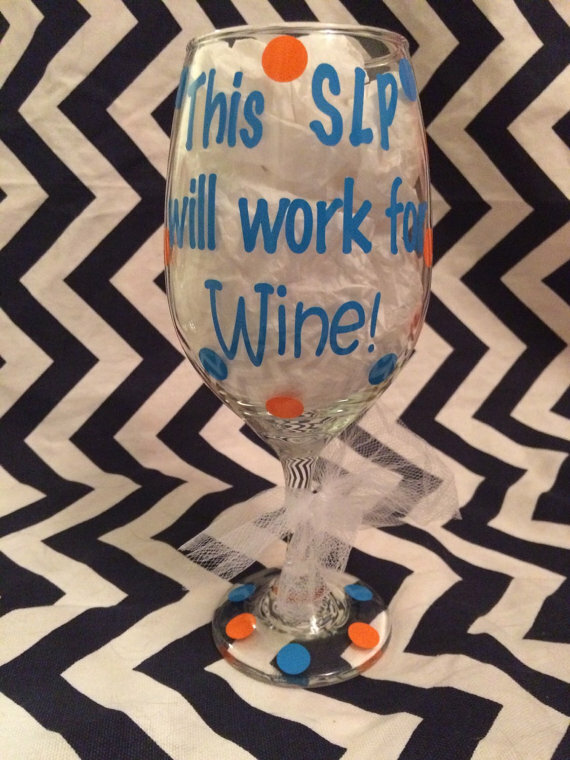 RoxysShoppe has created these glasses just for SLPs! They were generous to also provide a code for SLPs interested in purchasing! Code: SLPWINE for 10% off!! 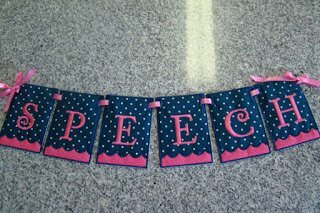 Banners & Bags & more! Decor decor! Who doesn’t want to surround themselves at work with cuteness?!?! DeanTrout is a fellow SLP and is so talented. She has created tons of banners, bags, hand sanitizer holders, felt items, and more!! 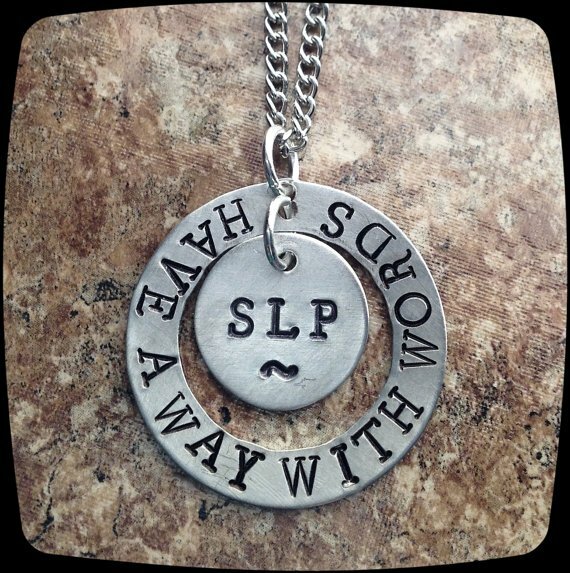 Each item is made with SLP LOVE! 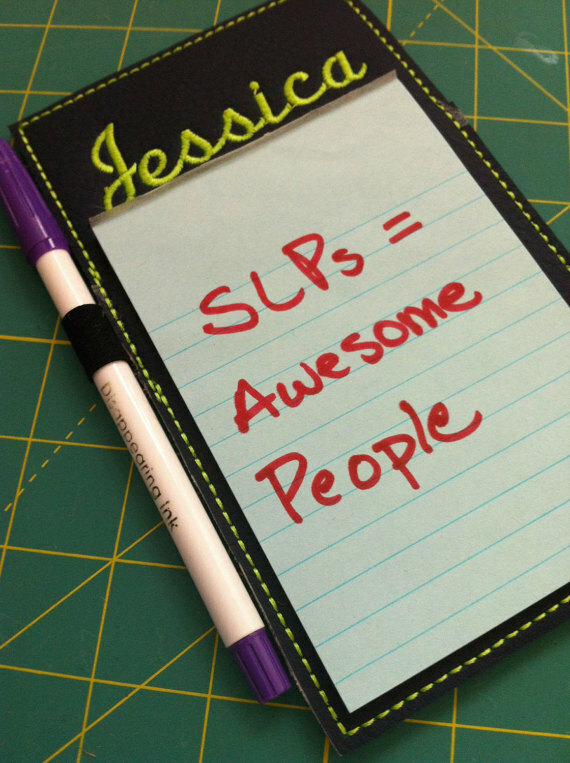 She has recently created desk top items that are designs specifically for SLPs!! Click HERE to learn more. 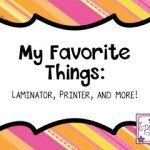 These are just a few of my favorites that I have found! One things I love about Etsy…you can always contact the sellers to ask about products. Want to know something that was not listed in the description…ask! Want to see if something can come in another color or in another saying…ask!!! I have gotten so many items made tailored to my needs by just asking! My Favorite Things: TV Shows!